SOFT CONTACTS – Disposable contacts are worn for a specific period of time, then thrown out and replaced with fresh lenses. We prescribe contacts from leading national brands and specialty contact lens manufacturers such as Duette. GAS PERMEABLE (RGP or GP contacts) – Gas permeable contact lenses are rigid lenses made of durable plastic that transmits oxygen. 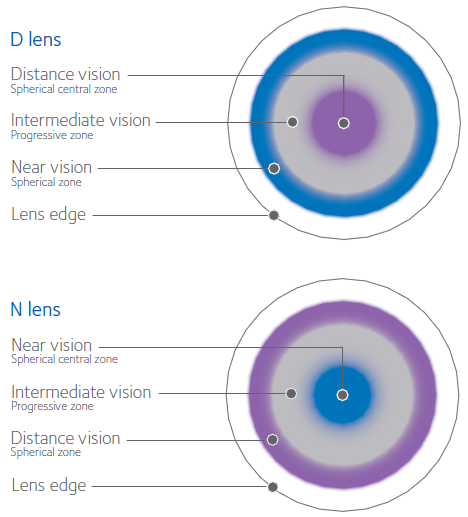 RGP lenses also provide better vision, durability, and deposit resistance than soft contact lenses. GP contact lenses are rigid, but they shouldn’t be confused with old-fashioned hard contact lenses, which are now obsolete. 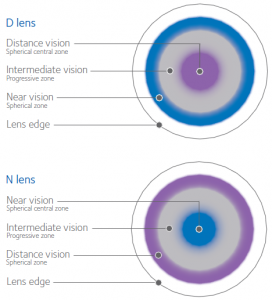 MULTIFOCAL CONTACTS – Bifocal contact lenses are designed to provide good vision to people who have a condition called presbyobia. 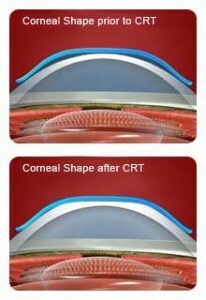 CRT CONTACT LENSES – Paragon CRT is a unique rigid gas permeable contact lens designed to temporarily correct myopia (nearsightedness) by gently and reversibly reshaping your cornea while you sleep. You may then be able to go throughout the day without any lenses. Paragon CRT lenses are made from an overnight contact lens material in a special design intended for this purpose. 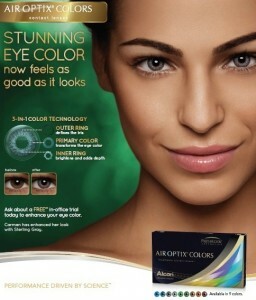 COLORED CONTACTS – Whether you are looking for a subtle or vibrant effect, Air Optix Colors contact lenses offer an option for you. 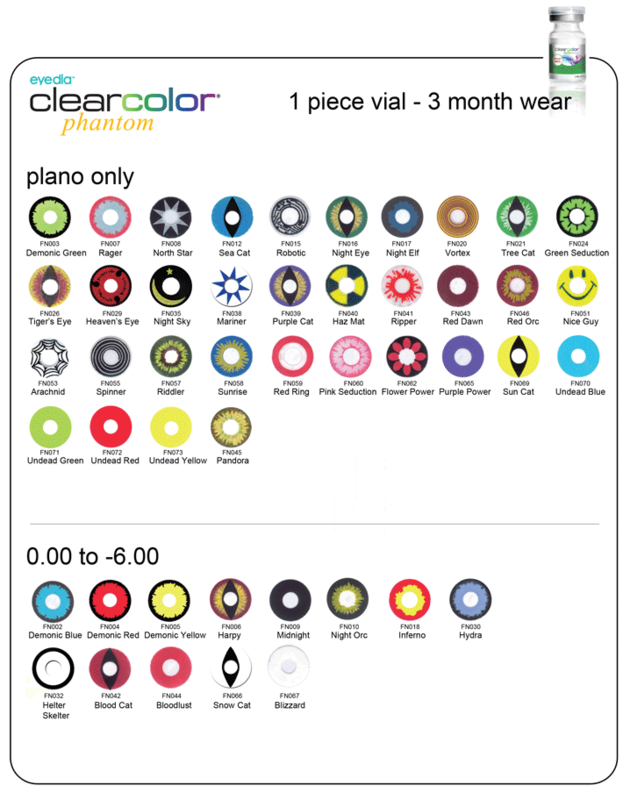 With Air Optix Colors contact lenses, enjoy breathable, comfortable, and beautiful contact lens wear in a full range of colors—with or without vision correction. 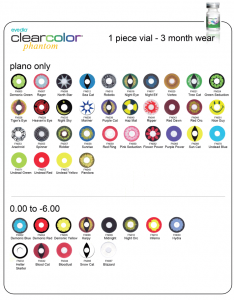 SPECIAL EFFECTS CONTACTS LENSES – Including black contact lenses, Halloween contact lenses and other “crazy” lenses — are soft contact lenses that are available for theatrical and novelty uses.